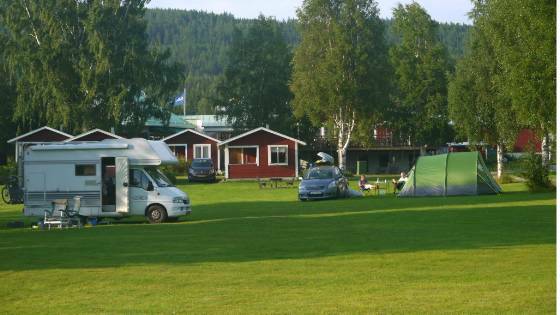 Träportens Camping is a campsite that is open all the year round, located along the E14 road between Sundsvall and Östersund. 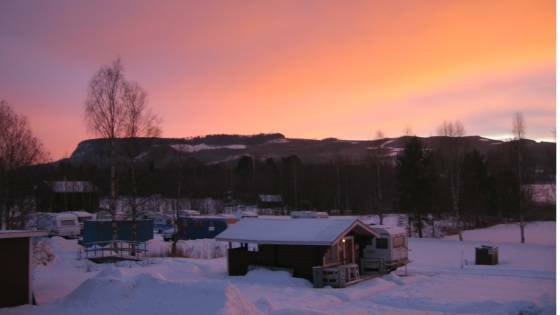 A good location for travelling guests on their way up to the mountains (Åre, Duved, Storlien, Vemdalen, etc), but, above all, a stunning location between Borgsjön beach and the foot of Bergåsen. The campsite has some 40 power points for caravans, 7 cottages, many tent spaces and 4 double rooms. The rooms are in the main building, which is a restaurant with a good reputation and wide range of products. Adjoining the restaurant is the only tourist information and Naturrum in the Municipality of Ånge (www.ange.se) that is staffed all the year round, providing a good source of information on all the nearby sights. There is also a place to swim, a wood-fired sauna, large resting place and petrol station with a well-stocked Minilivs shop adjacent to the facility. 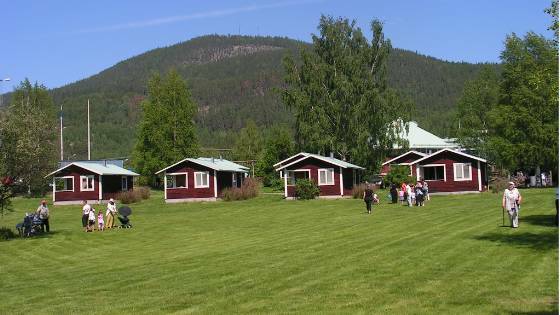 A good location for travelling guests on their way up to the mountains (Åre, Duved, Storlien, Vemdalen, etc), but, above all, a stunning location between Borgsjön beach and the foot of Bergåsen. The campsite has some 40 power points for caravans and plenty of space for tents. Bed & Breakfast room: 5 double rooms are available in the main building. The rooms have handbasins. Toilet in the hallway and shower in the basement. 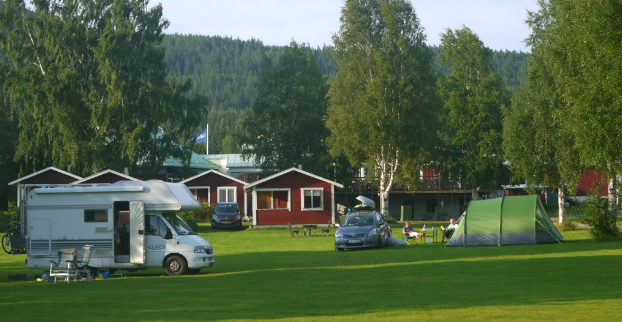 A good location for travelling guests on their way up to the mountains (Åre, Duved, Storlien, Vemdalen, etc), but, above all, a stunning location between Borgsjön beach and the foot of Bergåsen. All the year round self-catering accommodation in our red cottages with sea views. Three 2-bed cottages with toilet and shower, and four 4-bed cottages with no toilet or shower.